Rumoured couple Priyanka Chopra and Nick Jonas dined out with Madhu Chopra on Friday evening. The duo were spotted outside a Mumbai eatery in Bandra. Priyanka and Nick touched down in Mumbai in the wee hours of Friday. Priyanka and Nick walked in holding hands. Priyanka was chic and smart as she opted for a chequered Abigail skirt and a Griffin top from the collections of A.L.C. 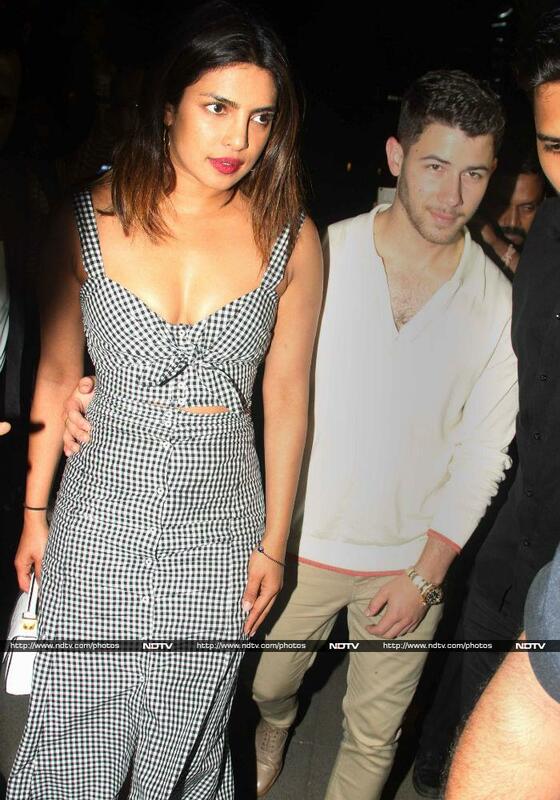 Nick safely escorted Priyanka through the sea of cameras. Here's one more just because we can't get over these two. Nick is reportedly visiting India to bond with Priyanka's mother Madhu Chopra.